Long ago I posted Sorse Ilish for Abroad Kitchen. So I feel that I should do traditional one. Hope you know that there are different types of mustard seeds. In Bangladesh brown and white mustard seeds are common. You can use any mustard seeds, though brown one will make strong taste with brownish texture gravy and white one will make yellow gravy with milder taste. I used white one here. You can use hot mustard paste instead of mustard seeds to make it handy. Fry the fish 1 minute both sides if it’s not fresh. If you overcook mustard seeds it turns bitter, that’s I added mustard paste in the end. Make paste of mustard seeds and 5 green chillies. Clean, wash the fish and rub ½ teaspoon salt and ¼ teaspoon turmeric. Heat oil with onion paste, turmeric and salt till oil is separated. Add 1 and ½ cups water and bring it into boiling point; add the fish and 3 whole chillies. Let it cook covered 5-6 minutes. Add mustard paste (add water if need) and cook it about 3 minutes. Check the salt and remove it from heat. 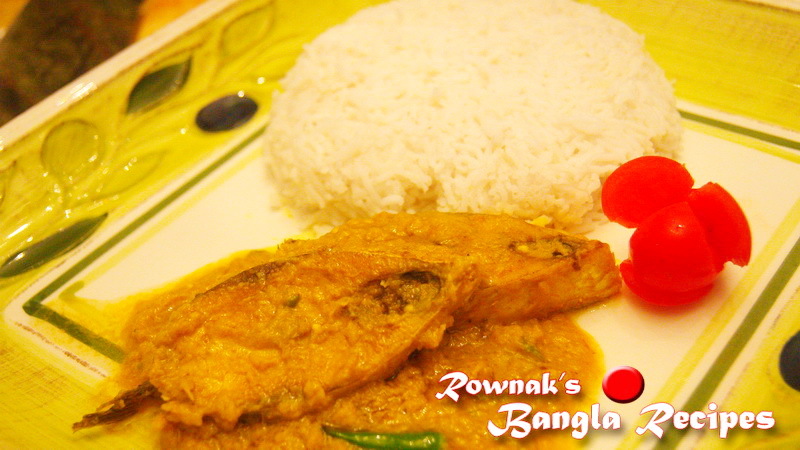 Serve Sorse ilish with hot rice. I am Akkas Alivery glad to have your recipe. Thanks a lot Akkas Ali.